Rocky Mountain Angling Club (RMAC) provides exceptional fishing on under-fished, uncrowded waters. 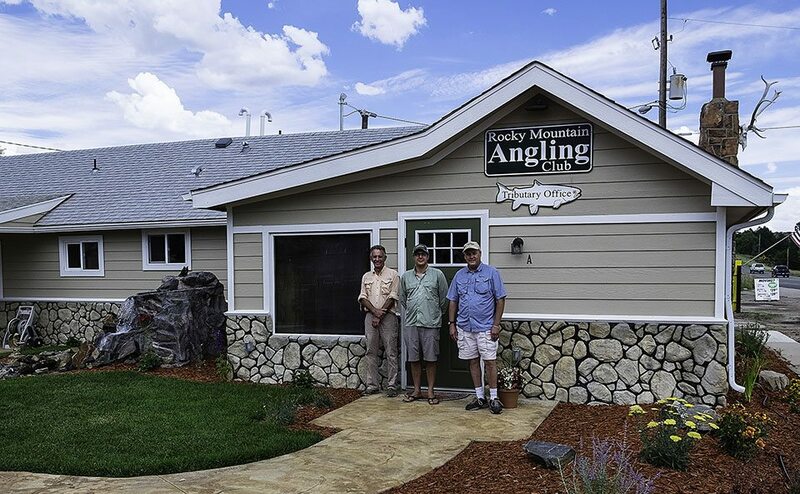 Since starting in 1992, Rocky Mountain Angling Club has offered its members exclusive access to quality catch and release fly fishing by way of arrangements with private property owners throughout the Rocky Mountains. Members enjoy access to over 50 premier fly fishing properties in Colorado, Wyoming, and New Mexico. Gold medal fishing opportunities abound with access to over 90 miles of rivers and streams and 25 trophy-producing ponds and lakes. Whether it’s stalking trophy browns, float tubing for Donaldson Steelhead, or casting for ravenous brookies, RMAC membership provides access to fishing opportunities you never thought possible. Fishing on RMAC properties is by reservation only on a first come, first served basis. The number of anglers on each mile of stream is limited, as we strive to provide quality, uncrowded fishing opportunities. Membership is limited, and slots are filling fast. Our offices are open 12 hours a day during the angling season to provide up-to-the-minute fishing reports, including daily hatch details, water flow rates, and property availability. Each year RMAC continues to acquire new fishing properties for its members. Join Today and discover what you’ve been missing!